In a time where the world appears to be putting up barriers and lowering its tolerance levels, Tokyo is bravely swimming against the tide. No matter what your age, religion or sexuality, you’re welcome in the capital. 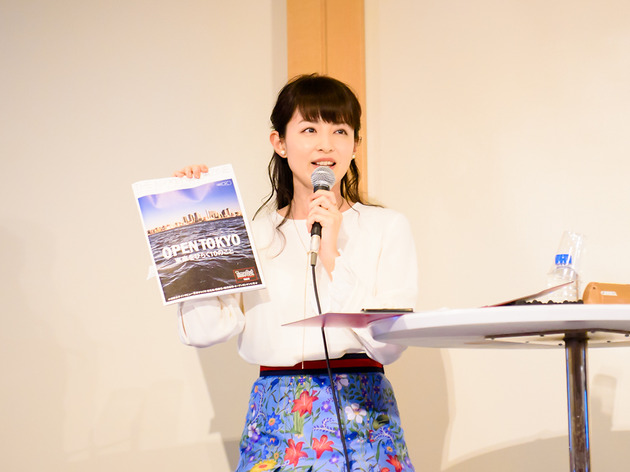 Determined to further strengthen this persuasion and unlock Tokyo for absolutely everyone, we here at Time Out Tokyo kicked off a new initiative called Open Tokyo with our previous issue, released at the end of March. We’ve also partnered with the Nikkei newspaper to launch Nikkei Magazine Futurecity, a new Japanese-language mag that first hit shelves on March 30. 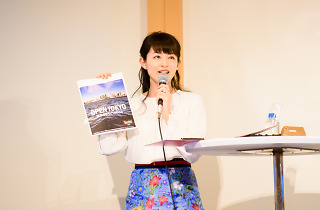 It’s packed with articles centred on the Open Tokyo theme, including interviews with Tokyo governor Yuriko Koike and paralympian Mami Tani, our manifesto for an Open Tokyo, lessons Tokyo can learn from London and much more. With Futurecity having attracted quite a bit of attention in early spring, we followed up with a seminar on the theme on April 21. Held at Tokyo Midtown, this panel discussion brought together a range of experts from various fields, including Makoto Tokuda, PR manager for real estate developer Mitsui Fudosan, Takaaki Umezawa, chairman of management consulting firm A.T. Kearney Japan, and Kris Yoshie, director of the Slow Label nonprofit, with freelance announcer Rio Hirai taking up the role of moderator. They were joined by Miki Shirakawa from Nikkei’s Olympics and Paralympics promotion team, and Time Out Tokyo president Hiroyuki Fushitani. Our own Mr Fushitani opened the first part of the session by explaining the Open Tokyo initiative’s origins and giving a synopsis of the project. He recounted how it was inspired by the Open London Guide, a city guide launched in 2012 by Time Out London and certified as an official guidebook for the London Olympics and Paralympics. The Open London guide was created by Time Out London together with NGOs and other organisations involved with building accessible facilities for the 2012 Games. It features a range of information about accessibility in the context of everything from public transit to accommodation and restaurants. Seeking to build on this idea of openness in Tokyo, Fushitani conceived of Open Tokyo as something that would go beyond a guidebook and leave a legacy in Tokyo for 2020 and beyond. 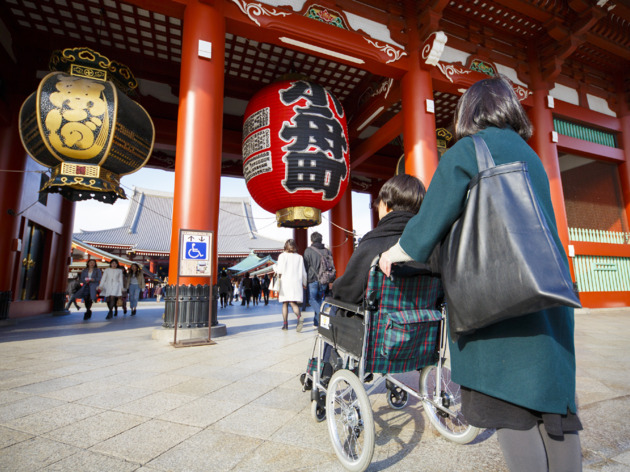 The initiative includes not only the idea of making Tokyo more ‘open’, but also the removal of existing barriers, the promotion of Tokyo as a global city, open advocacy for accessibility, and a future-oriented perspective. ‘The London Olympics were successful not only in a sporting sense; by supporting sports among those with disabilities, the Games raised awareness and advanced the notion that cities can accommodate both those with and without disabilities. For this project, we considered what we, as a Tokyo-based media outlet, could do to achieve a similar outcome.’ The result was a collaborative project with Time Out Tokyo, which included Futurecity. Moving on to the panel discussion, our participants – who work with diversity-related issues in the areas of hiring foreign workers, welfare, and urban planning – discussed how to open up Tokyo through their respective disciplines, and shared opinions on what the legacy for the city after 2020 might be. 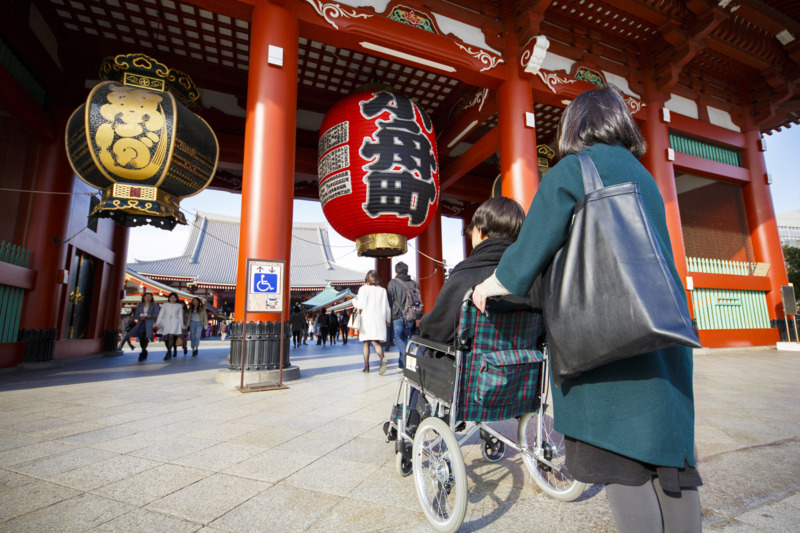 Takaaki Umezawa, chairman of A.T. Kearney Japan, one of the world’s leading management consulting firms, noted how steep hurdles remain for non-Japanese to find work and live in Japan. Umezawa noted that Japan is missing out on skilled workers due to ways of thinking and systems that are out of step with contemporary reality. Meanwhile, Makoto Tokuda of real estate developer Mitsui Fudosan, which is engaged in urban planning throughout Tokyo, spoke his mind about how he is seeing changes in the corporate mentality. Slow Label is a nonprofit that works to empower people with disabilities and advance their integration into society. Their art project, ‘Slow Movement’, involves both Japanese artists and contributors from abroad in promoting accessible urban environments. Slow Label director Kris Yoshie talked about why ‘barrier-free’ infrastructure is less important than the emotional element, or ‘software’, of accessibility. Next, Fushitani brought up a series of articles appearing in Futurecity that compare and contrast Tokyo and London as global cities and in terms of openness. Figures on the number of tourists, foreign students, female workers and gay bars are includes alongside a number citing the ratio of barrier-free subway stations. Tokyo is listed at 90 percent, while London has 26. At first glance, it would seem that Tokyo is leading, but Fushitani noted that this figure actually hints at a problem Tokyo is facing. ‘No matter how much you reduce visual differences, or modify systems and structures, it’s not so easy to change people’s minds. That is precisely why the Olympics, and particularly the Paralympics coming to Tokyo is so important. People will be emotionally moved and excited by the sight of Paralympians pushing their limits, making for a golden opportunity to break down barriers in people’s minds and change their attitudes towards those with disabilities.’ Only mental change leads to fundamental change, in other words. The Yokohama Paratriennale 2017, an international exhibition of contemporary art by disabled people and professionals from various fields, is also being led by Kris Yoshie, who has high hopes for the potential of the Paralympics. 2020 is just three years away. Yoshie argued that ‘if we don’t buckle down on the issues this year, we won’t be ready in time for 2020. This is a very important year.’ In other words, three years is a lot shorter than it sounds. So what can we do?